Use these C's to find the best diamond for your intended. If you're looking to put a ring on it in 2019, don't do so in haste. 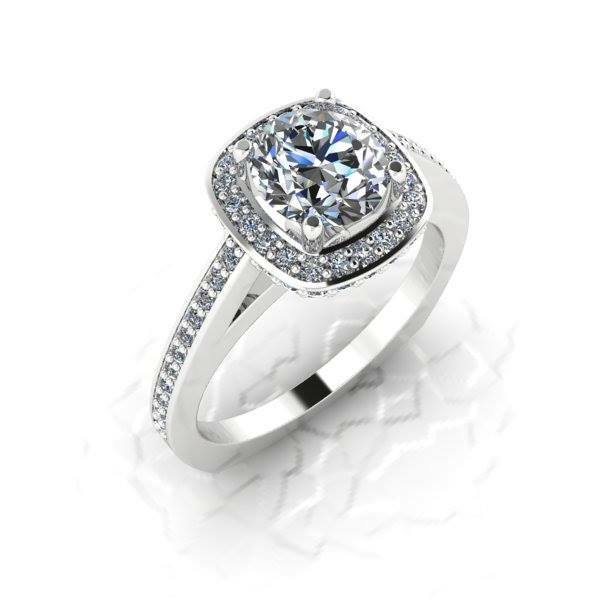 Diamonds require a lot of thought, and not just in ring settings. This is a piece of jewelry that symbolizes commitment while also showcasing your loved one's personality. Some people like big statement jewelry, others more understated and demure. Once you've dialed in what suits his or her liking, it's time to head to the jewelry store. Before you go, bear the four C's of diamonds in mind for diligent diamond buying. This is the diamond's weight. The larger the carat, the more expensive the diamond will be. Running just below one carat at .9 will be significantly cheaper than anything over 1. The Gemological Institute created a handy color chart that best explains diamond colors and the gradients therein. Diamonds can appear "warmer" as the color chart goes onward while colors D-F will be starkly brighter in comparison. This one usually requires looking at the diamond through a magnifier to better understand. When a diamond has an inclusion or an imperfection, it will be less expensive as opposed to a flawless diamond. There are diamonds with inclusions that are visible to the naked eye, so it's up to you if non-visible inclusions really matter in the long run. Not to be confused with shape, the cut of a diamond refers to the process of shaping and polishing of a stone after it's been mined. A well-cut diamond will elicit sparkles while a diamond with a poor cut will not be as visually stunning. Now that you've found the right person, you're now prepared to find the right diamond engagement ring! Want to propose in Colorado but aren't sure where to go? Give this list a look!